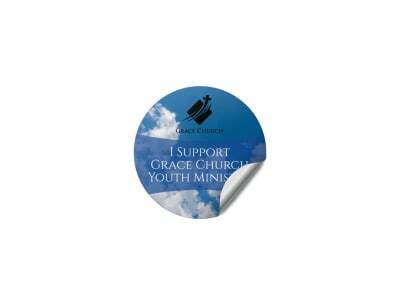 Give the kiddos attending your church’s Vacation Bible School a simple way to learn their memory verse, raise awareness for your cause, or just promote your organization by distributing completely customized stickers that can’t be missed. MyCreativeShop’s designers have been working tirelessly to create a variety of customizable religion & organizations sticker templates that can become all things to all people (with a little help from you and our online editor, that is). Give it a try and get the word out!